In 2016 Story Contracting carried out the construction of a new footbridge and cycleway at Currock Bridge in Carlisle, as part of a major community scheme driven by Cumbria County Council. 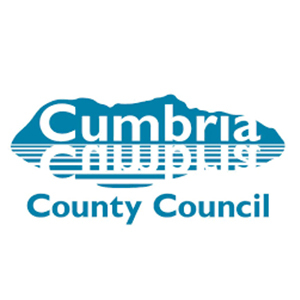 On behalf of our client Cumbria County Council, Story Contracting were tasked with constructing the Currock Bridge Cycleway in Carlisle, as part of a major local community scheme driven by the council. Story delivered a clean, airy and well lit footpath and cycleway to connect Currock and Denton Holme, across the Cumbrian Coast Rail Line between Lund Crescent and Bousteads Grassing. The bridge connects the existing footpath on the Denton Holme side via a ramped walkway, providing full access to pedestrians, cyclists and disabled wheelchair users. The bridge also provides a continuous cycle link from Currock along the River Caldew north to Carlisle City Centre and south to Dalston. The Story Contracting team worked closely with the client to solve problems, create savings and deliver on time with an honest, open book approach. The collabrative working relationship with the client and sucessful timeous delivery of the project is testament to the values that Story adhere to as a construction business. The team worked closely with the Environment Agency and Network Rail to ensure there was no impact on Hire Beck and rail safety was imperative. Management of unforeseen delays were undertaken to ensure the project was delivered on time. The Currock Bridge scheme was awarded ‘Best Community Project’ at the North West ICE (Institution of Civil Engineers) Awards in March 2017. This was in recognition of the innovative engineering and design work undertaken on the project, and the value it has provided to the local community. The new bridge will be a testament to Story Contracting's skill and dedication for many years to come, and the national award reflects that.